Many parents of children with eczema know the basic treatments to control and prevent eczema flares. Despite their best efforts, their child's eczema may persist. Learn the variety of ways to treat eczema with this roundup. If your child has frequent eczema flares, you may already be trying to control them with the short-term use of a low- or- medium-potency steroid ointment or non-steroidal eczema medicine, such as Elidel or Protopic. It's also common to apply moisturizers on top of your child's other topical medications during eczema flares or apply them at other times of the day. A steroid cream or ointment isn't going to work if you put it on top of a moisturizer. Using a moisturizer every day and within three minutes of getting out of the bath or shower can reduce eczema flare-ups, as can refraining from using hot water in the bath or shower. Rather than using a harsh soap, mild soaps, such as Dove or Oil of Olay, or a soap substitute, such as Cetaphil Gentle Skin Cleanser, may help. Some physicians recommend that parents give their child an antihistamine, such as Benadryl or Atarax (a prescription strength antihistamine), to help control itching, especially at bedtime. The same advice applies to avoiding known triggers, such as bubble baths, dust mites, food allergies, overheating and sweating, wool and polyester clothing. Doctors may recommend that the child try a non-steroidal cream or lotion, such as Atopiclair, or use wet dressings or wet-to-dry dressings during hard-to-control flares. Parents are sometimes advised to wash their child's clothes with Dreft or other speciality "baby" laundry detergent, such as Tide Free (Ultra Tide Free, Tide Powder Free), All Small & Mighty Free Clear or Ivory Snow. Keeping your child's fingernails short, so that he doesn't damage his skin if he gets itchy may also improve symptoms. Unfortunately, even parents who do all of the above still struggle to manage their child's eczema. Although poor eczema control sometimes has to do with not following, understanding or having an eczema treatment plan, some kids simply have hard-to-control eczema. By trying new treatments, a pediatric dermatologist may help these children get their eczema under control, but often, more education may prevent and treat eczema flares. If your child has hard-to-control eczema, you might also consider that he could have a secondary skin infection. 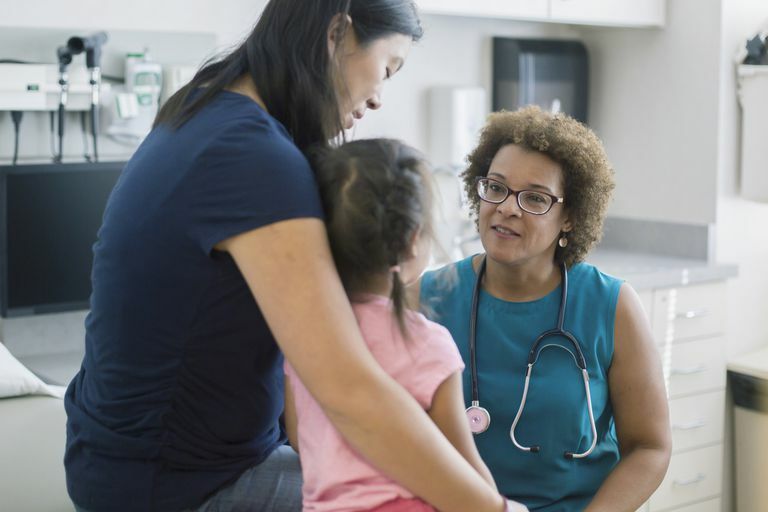 Your pediatrician will especially suspect a bacterial infection if your child's skin is red and has honey-colored crusts over it, pus-filled blisters or appears wet and weepy. Many eczema experts believe that the Staph. aureus (MRSA) bacteria infects many children who already have eczema and can cause eczema flares. In fact, one study showed that more than 90 percent of patients with atopic dermatitis were colonized with the MRSA bacteria. That is why many doctors, in addition to traditional treatments for eczema flares, will also prescribe an antibiotic. If your child is already on antibiotics and his skin still looks infected, then he could have the MRSA bacteria on his skin, and he may need a different antibiotic, such as Bactrim or Clindamycin, to get the infection under control. A skin culture can also help to determine if your child's eczema is complicated by a bacterial infection and which antibiotic will help to treat it. In addition to the eczema treatments above, a pediatric dermatologist may recommend using a stepped-down approach to therapy. This means instead of stopping a steroid cream or ointment when a flare is under control, you switch to a lower strength of steroid for a few days or weeks. For example, you might go from a prescription-strength steroid cream, such as Cutivate or Elocon, to an OTC hydrocortisone cream before you stop using a steroid altogether. Alternatively, your pediatrician may go from prescribing your steroid every day to every other day. This may help your child's skin from flaring up again as soon as you stop using a steroid treatment. Trying a higher-strength topical steroid in small areas that aren't responding to treatment with a moderate-strength steroid may help as well. Higher-strength steroids can include Cutivate ointment, Diprolene AF cream, and Lidex cream. Keep in mind that these higher-potency steroids are usually only used for short periods of time, like three or four days, and never on the face. The pediatrician may also prescribe a compounded mixture of a steroid with a moisturizer, such as triamcinolone acetonide 0.1% ointment and Aquaphor. Additionally, weekly diluted bleach baths may help prevent staph infections. Using this technique, a 1/4 cup of household bleach is added to a bathtub that is then filled with lukewarm water. Your child can then soak in this bath, which will be like a chlorinated swimming pool, for 10 to 20 minutes. Rinse him off after the bath and as usual, pat your child dry and cover him with a moisturizer within three minutes to trap in the moisture from the bath. Keep in mind that diluted bleach baths are usually restricted to just once a week since they can be irritating and should usually be done under the guidance of your pediatrician or a pediatric dermatologist. Rounding out alternative treatments are coal tar lotions and shampoos, treatment with cyclosporine, which suppresses the immune system, and ultraviolet (UV) light phototherapy treatment. Keep in mind that using coal tar, cyclosporine and phototherapy are typically reserved for the most severe cases of eczema. Atopic Dermatitis. Simpson EL - Med Clin North Am - 2006 Jan, 90(1), 149-167. Atopic dermatitis: An update and review of the literature Lipozencic J - Dermatol Clin - 01-OCT-2007; 25(4): 605-12.